Here is the porterhouse steak of our worm lineup!! 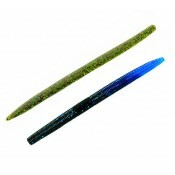 The 12" Worm has a beefy body and long tail tha..
Our 10" Worm is great for bass that are relating to the bottom. 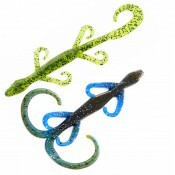 This is the worm to throw if you ar..
Our 8” Worm is great for bass that are relating to the bottom. This worm has a bulkier segmented bo.. Many people love to fish a plastic worm to catch bass. We redesigned the 7.5” Original Classic to b..
Our 7" Worm is great for bass that are relating to the bottom. Most people Texas-rig this worm with..
Our 6" Worm is great for heavily pressured bass or when a smaller bait will put some fish in the bo.. 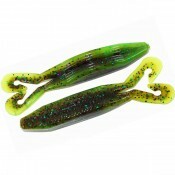 This twin tail worm is great as a Texas rig or as a trailer on a jig or spinnerbait. 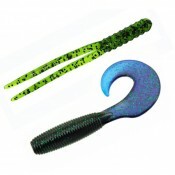 Built with p..
Our 5" Paddle Tail Worm is build for flipping and pitching in heavy cover. The 5" Paddle Tail Worm.. This bait helped one of the Pros win $100,000 at the 2005 B.A.S.S. Tour Stop at the Harris Chain of.. 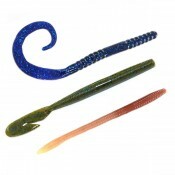 If you like fishing a floating worm, you are going to love our Bitter's Magic Wand. We made our b..
You are going to love the smaller 5" version of our Bitter's Mini Wand. When the bite gets tough a.. 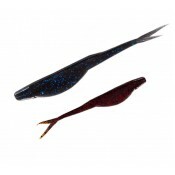 The Bitter Vibe is the perfect worm for swimming or buzzing here in Florida, the swimming worm has.. The 7" Mega Vibe is a bigger and bulkier rendition of the Bitter's Vibe.The perfect worm for swimmin.. If you like fishing creature baits, wait until you tie on a Bitter’s Best Value Salty Hog. Most pe.. 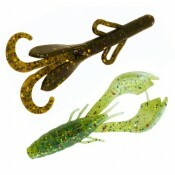 When you need a 4"Craw to flip or pitch to cover or as a jig trailer, this bait is what you want to..